I have some news for you. This was a little bit hard for me to take, but I am adapting, oh don’t worry it’s not life threatening news, well it’s that I am Lactose Intolerant. What does that mean for me? No more dairy! Sigh… How did this happen? I don’t know? It’s something I have been struggling with. Let me tell you my story. Last year, when I came back from Europe I gained a couple of pounds, that was in July. No biggie, I figured it was the bread I was eating. Then Jenny told me, you need to tone up a little, you’re getting a little puffy in the middle, that was August. I started to really watch was I was eating and I did a 90 day Chalean Extreme Beach Body workout. I thought for sure I would tone up. By January 2013, I gained 20lbs. How does one gain that much weight in 6 months? Especially one who exercises and watches what she eats? So what does one do? Go to the doctors and get a physical. I figured I had a thyroid problem. Nope, the test came back at a 7 meaning I just missed the thyroid problem by a point. I was disappointed. So I really, really watched what I ate and went to the gym 4 times a week. I lost 10lbs. Yah!! I went from 137 to 157, down to 147. Then in September, after working out and eating 1200 calories a day, I gained 10 lbs again. Geeze!! The past few weeks, I was looking bad. I didn’t feel bad, but I looked like I had a basketball in my stomach. I was talking to Little Jenny and she said it just has to be something your eating. You’re the healthiest person I know. So for one week, I decided to give up stevia, thinking that was the issue. After one week, I gained 2lbs. I figured it wasn’t the stevia. Then I figured the next biggest thing I was eating was my beloved yogurt! I eat it like there is no tomorrow. I have it breakfast, dessert, snack and so on. It was hard this past week, but one week later I went from 157 to 153 and lost 1/2″ on my stomach. I no longer have a basketball in my stomach. Yah!! And my clothes fit better, thank goodness! So with that, I figured I must be lactose intolerant. I didn’t go to doctors to find out for sure, but I think that is what it is. So does that mean I’ll never have milk again? No, probably not. But I will not go out of my way for it. If there is a tiny ingredient, say in crackers that has milk, I may eat it. I will eat things that has been produced in a facility that contains milk. I will not however have milk in general, ice cream, butter, cheese or yogurt. Sigh…. So what does that mean for you? Nothing really! I do have a family that can have dairy, so I will still cook with those products for them and if they are healthy enough, I will share them with you. Also, I will have alternatives to my recipes, so you can have dairy products. I am kind of looking forward to this because that means I get to face a new cooking challenge. I love challenges. So far this week I have made a lot of fun dishes that I think you will enjoy that are dairy free,well at least for me. I am trying this for two weeks to see how I do. I may try something dairy to see what happens, if anything, but as I see it in the future, I highly doubt I will go back to dairy. So what troubles do I face while cooking? My biggest thing is cheese. I love cheese!! A grilled cheese sandwich, caprese sandwich with melted mozzarella, pizza and Italian dishes like lasagna. I did buy some nutritional yeast, but I have no clue how to use it? I doubt it will give me the same satisfaction as regular cheese. 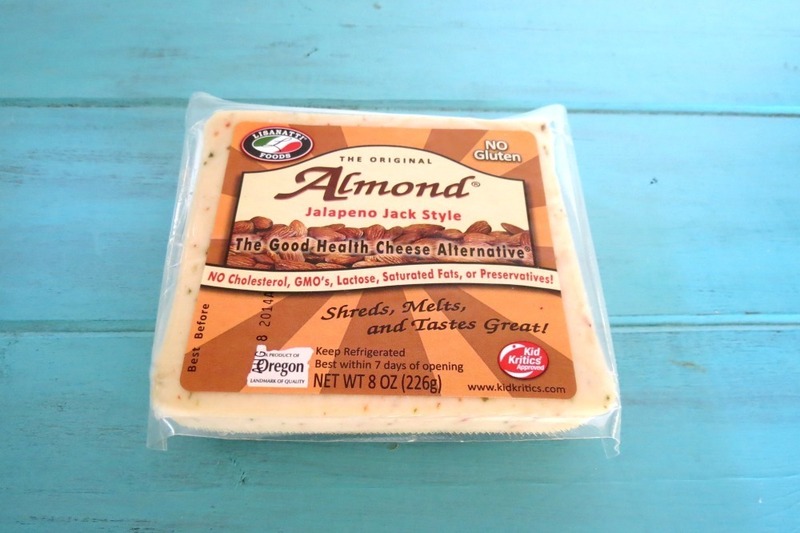 I did find Almond Jalapeno Jack Cheese and I can’t wait to try it. I am crossing fingers and toes that it tastes good. If you have a suggestion for cheese, please let me know!! I need help!! As for another thing I love is whip cream. I bought Soyatoo Soy Whip Cream. I went to use it and nothing happened. Then I read it and it says, you need to let it sit on the counter for 15 minutes. What the heck? I didn’t want to wait, so I put it back in the fridge. I guess I’ll be patient one day and give it a try. I think I can have Cool Whip since it’s all processed and not real at all. I am pretty sure it doesn’t contain milk. But after reading that it’s one of the worse things you can eat, I’ll pass, I think! We shall see. I am excited about the ice cream I found. I actually bought the Soy Delicious Neapolitan Ice Cream, not pictured below and it was pretty good. The first initial taste it was alright, but the more you ate the better it tasted. I am loving the strawberry part! I also bought coconut ice cream and Soy Decadent Chocolate Brownie. I read that the Soy Decadent Line is amazing!!! I haven’t tried it yet, but I can’t wait to! So I am good with my ice cream selections and even Bryers makes a Lactose free vanilla ice cream, which I will try next. I’m just trying to find what I like. Don’t worry I won’t chow down on ice cream, just looking for a once in a while treat. As for milk in general. I was happy to find out that soy milk froths nice in my coffee and the Silk Vanilla Creamer tastes great! I am happy with my coffee. Even Starbucks Soy Milk tastes delish in my coffee. I actually like it better in my iced Amercano with Sugar Free Vanilla, than non-fat milk. So I am pretty happy with milk! The only issue I have is soy and coconut milk is either high in fat or carbs. But I guess that is ok. I don’t drink a lot of milk. Just in my morning cup of Joe!! 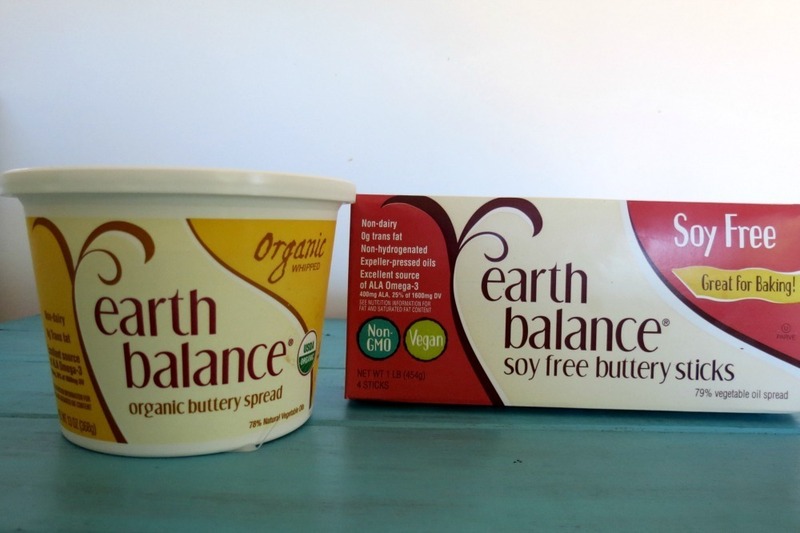 Butter wasn’t hard either, I just bought Earth Balance. It tastes good and bakes nice. So I am all good with butter!! Thank goodness!! The biggest issue I think I am having this week besides cheese, is I am not getting enough protein. I would always grab a yogurt for a snack, but now I reach for pretzels or fruit. Both are high in carbs and low in protein. Gosh, I hate to gnaw on a piece of chicken. lol But I guess I should make batches of it and maybe dip it in salsa for a protein snack? I love my salsa!! 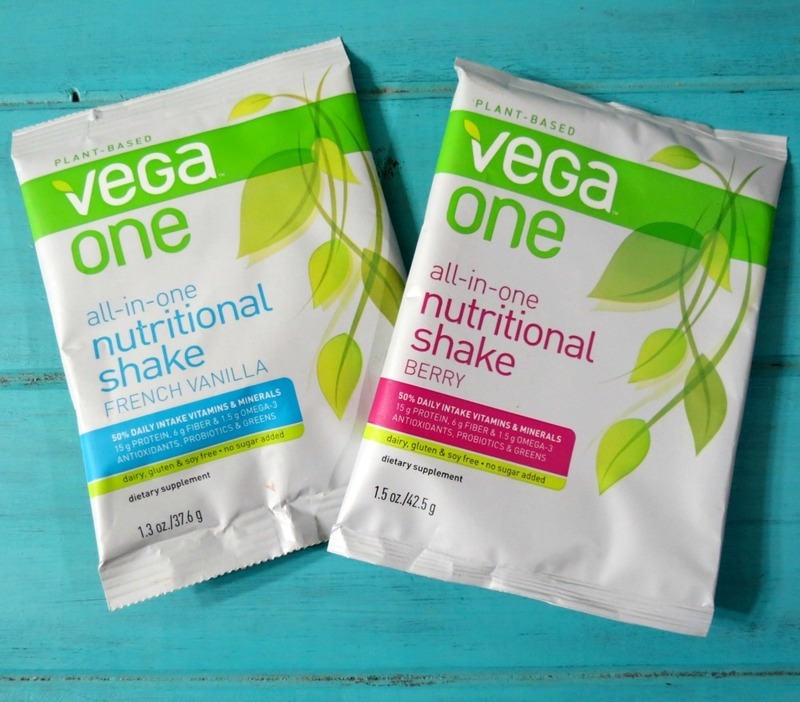 I totally just remembered, (I love when I get ideas when I write my blog) a while back, Jessica form Vega sent me some samples of Vega One Nutritional Shakes to try which are vegan, clean, planet based and contain 15 grams of protein, omega 3’s and antioxidants. Yah!! I also saw over the weekend that Vega One is at Whole Foods, which makes it easy for me to get. That is what brings me to today’s recipe. In all honesty I didn’t have a recipe for you today because my smoothie I made earlier was a flop. Glad I remembered the Vega samples I had. I think I will try the Nutritional Shake in Berry flavor in a smoothie to see how I like it and see how I feel. Sometimes protein powders don’t settle with me right, but hey this doesn’t contain whey/milk, so I should be good! I actually stopped writing my post to make this recipe. It’s pretty easy! 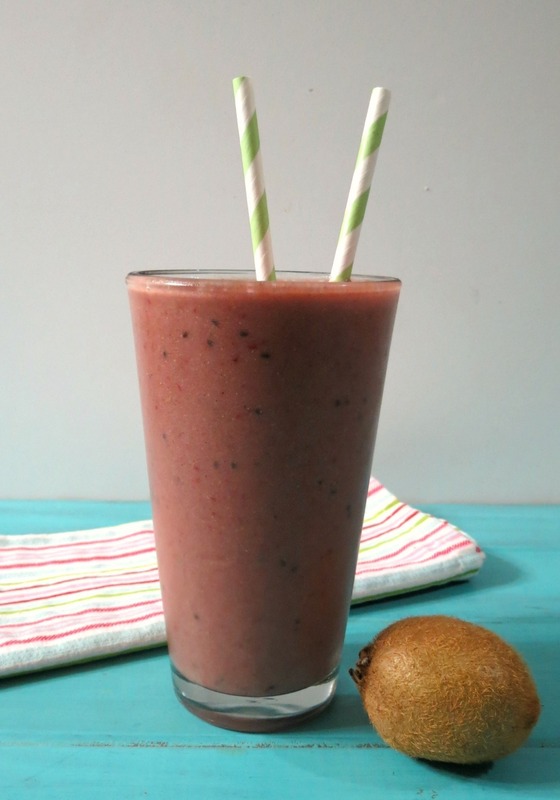 In a blender I added frozen strawberries, fresh kiwi, water and the Vega One Shake in Berry. Threw in a few ice cubes and I blended away. I thought at first it seemed to runny and powdery tasting, so I added more strawberries. After all I don’t think you can have enough strawberries. Here is how it turned out. The color is a little funny. It wasn’t a pretty bright pink. But color and looks aren’t everything. Time to take a swig. Not bad! It’s thick, lots of strawberry flavor with just a hint of kiwi. My kiwi was a tad tart, but added a nice flavor. I didn’t need to add any sugar to the shake and I am happy with using water over milk. I debated about using coconut milk in it, but I was out! I need to get more and soon. A healthy, good for you nutritional frozen drink made with Vega One Berry Nutritional Shake, strawberries and kiwi. Add everything into a blender and process until smooth. 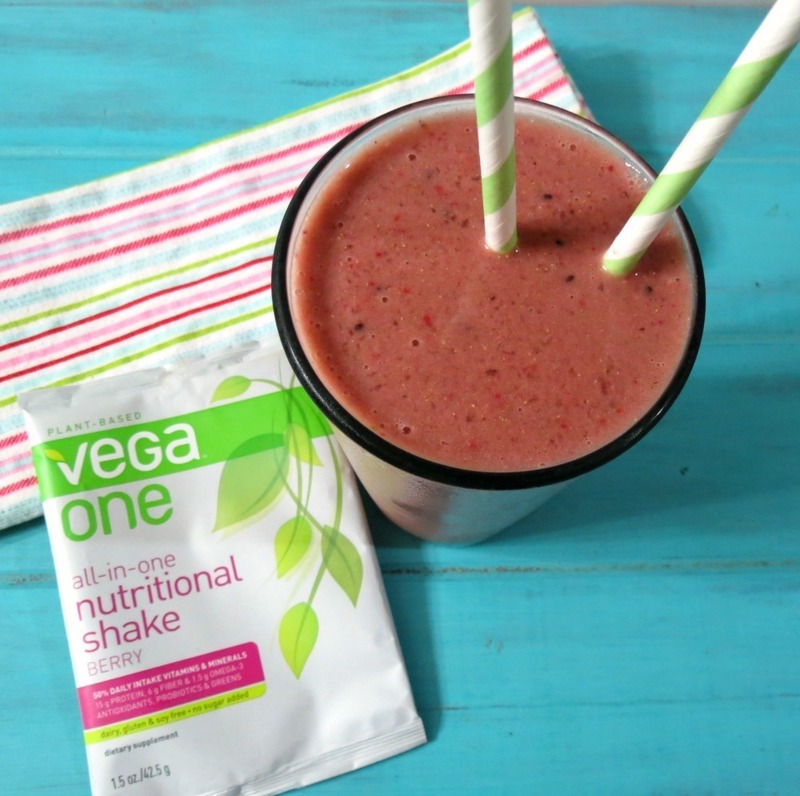 NOTE: If you do not have Vega One All Nutritional Shake, a Berry flavor protein powder should work great! Well that is my story. I don’t know truly if I am lactose intolerant, I’ll probably ask my doctor when I get my physical in January. But until I know further that is what I am classifying myself with. 🙂 I’ll keep you updated and I’ll let you know if I find any new products that I think are great! Don’t worry, this is not a Dairy Free blog! I’ll still have my cheesy treats, yogurt smoothies and other good things. Just right now I need to find what is right for me, so I will be doing a lot of experimenting. But as I stated above I will add substitutions to my recipes. If you are dairy free or vegan, please give me some pointers. This is all new to me and not sure what to do? And what do I do with Nutritional Yeast? I have no clue!! Food allergies have certainly made food products come along way in what they offer these days!! 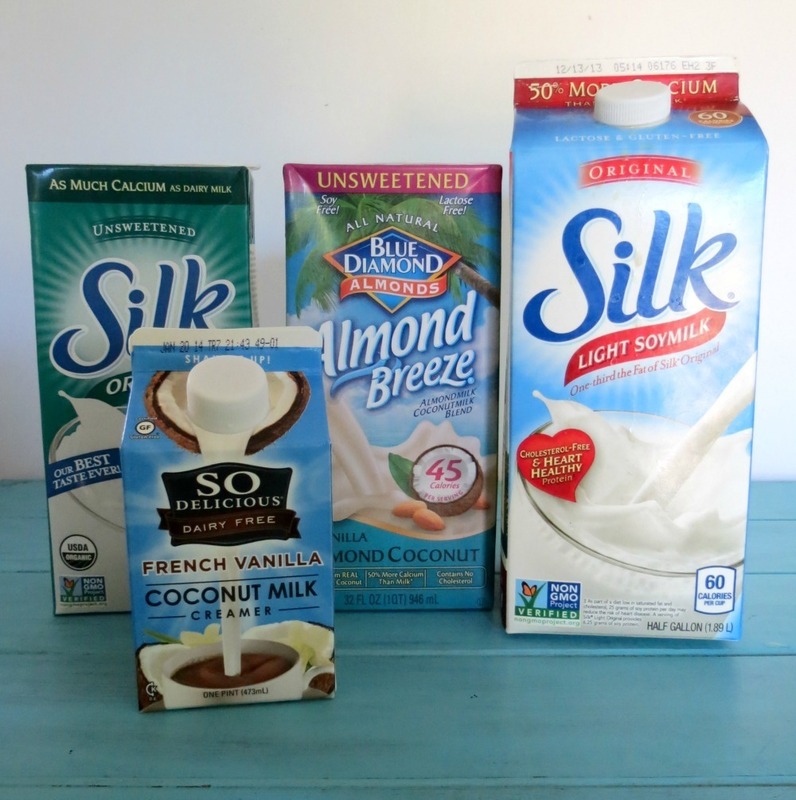 They have almond yogurt and silk yogurt that are dairy free and taste great. I’m not lactose, but I get horribly, REALLY badly congested whenever I eat something heavily contained in milk, ie: yogurt, heavy cream, ice cream, ect. I love ice cream, but I hate the end results. So are those dairy free choices any good? Worth spending money on? Hi Samantha! Oddly enough the soy whip cream wasn’t bad at all!! Had that tonight for the first time. I like the Soy Ice Cream, and the creamer is pretty good. However coffeemate is non-dairy, so for size and cost difference I will probably get that next time. I haven’t tried the other things. I am looking forward to the Decadent Chocolate. I’ll let you know how that is, I heard it is so good! Oh and the cheese. I am quite curious on how the cheese will taste. Wow, that is funny how it caused weight gain and bloating! So scary how your body can just change all of a sudden… Did you have pain too? Glad you found alternatives Jennifer! Our bodies are just weird things. For all I know it might not be dairy, but I can’t get over how much better I feel since I haven’t had it. Nope, I didn’t have any pain, just gurgley sounds in my stomach, major bloat! I mean like I had a basketball in my stomach, it was crazy! After two days without dairy that went away. The weight gain was the killer for me! You work so hard to eat healthy and exercise and then the scale keeps climbing. It’s so discouraging! I had to do something, and this seems like the solution for me. Jennifer I feel your pain. My 7 year old has a dairy allergy and quit dairy in May due to thyroid issues. Here is a terrific recipe for whipped cream-you will love it – http://www.thekitchn.com/how-to-make-whipped-cream-from-152490. Here is also an awesome vanilla ice cream -http://www.thehungrymouse.com/2013/04/30/3-ingredient-coconut-ice-cream-vegan-no-cook-totally-amazing/. Compare the fat content in the cans of coconut milk-the less expensive brands tend to have less fat % which doesn’t yield the best results. I like Thai brand in the red labeled can. Happy experimenting-it will seem less overwhelming after a month or so! ps-I make my daughter mini pizzas with the Daiya brand mozzarella shreds. You are awesome! The ice cream looks amazing! I am soooooooo making that! Also I have made whip cream like that and I love it! I actually tried the Soy Whip Cream tonight and it tasted pretty good. I am excited to find the Daiya Mozzarella Shreds. I would love it a big piece of pizza with cheesy goodness. I thought I would miss the yogurt the most, but it seems to be the cheese I crave. I just wonder how they can take a soy bean and make so many things with it? It’s so weird! Thank you for your help and suggestions! I have new things to look forward to now! Hey, Jennifer, I am glad you think you pin pointed your problem! My dear sweet mother-in-love is also lactose intolerant but her doctor gave her some pills to take, not sure if it is prescription or not but they work for her, she takes them about 30 min before meals and she is then able to eat dairy with out issue! Also, you can try the lactaid milk, the non fat one is pretty tasty I think. Ohhh thanks Bonnie! I didn’t realize they made a lactaid milk. I’m going to look for that next time I am at the store! Thank you so much! I figured in a month or so I’ll get tested to see if that is really the issue I am having, but I do feel better! Omg that empty feeling….I thought it was just me. I thought I was crazy. Now I’m even more convinced I am Dairy sensitive. Glad you figured out what’s wrong dear! Kammie, I honestly, from the bottom on heart hate to say this, but I think it is the yogurt! I think we consumed to much of it. The empty feeling is so weird, and it never goes away, so what do I do to fill it? Eat yogurt! You should go without dairy for 3 days at least and I bet you the feeling will go away. The first two days were hard because I didn’t know what to eat, but now I am doing better and oddly enough I haven’t missed the yogurt, which shocks me!! If you do go without dairy, let me know how you feel. I am curious! Hi Jennifer, my son was diagnosed lactose intolerant 7 years ago and we have gotten so much smarter and more delicious with what we make over the last few years! If you have a Kosher bakery /shop anywhere near you- all their goods are dairy-free and sooooo yummy! 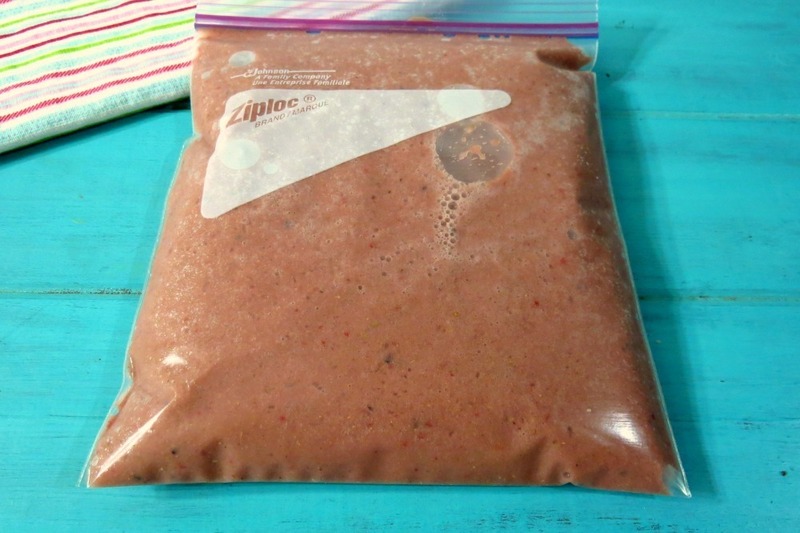 I make smoothies using lactose free protein powders, sorbet,fruit and soy milk if it’s a creamy one. Coconut water works really well in smoothies also. He can tolerate sheep and goat’s milk and if you can find a Greek deli they make the most amazing hard goats cheese that you can use in lasagnes and for grilling that is 100 times nicer than rubbery soy cheese!!!! Good luck!! Awesome Bronnie! Thank you so much for all of your information. I will look for lactose free protein powders and try out your smoothie. It sounds so good! I wonder if I can have hard goat cheese. I will have to try. One ting i really love is goat cheese. Knowing I’m not having cheese, makes me want it all the more. You can use the soyatoo right out of the fridge, but you have to shake it really really hard. It’s a pain, probably the coconut oil being solid or whatever. Also, the cheese? It’s honestly all pretty bad. Daiya is one of the better ones but use it in moderation. I don’t like Vega myself, I make my own mixes at truenutrition.com (not affiliated). If you want to splurge fine the So Delicious Coconut Milk Greek Yogurt. 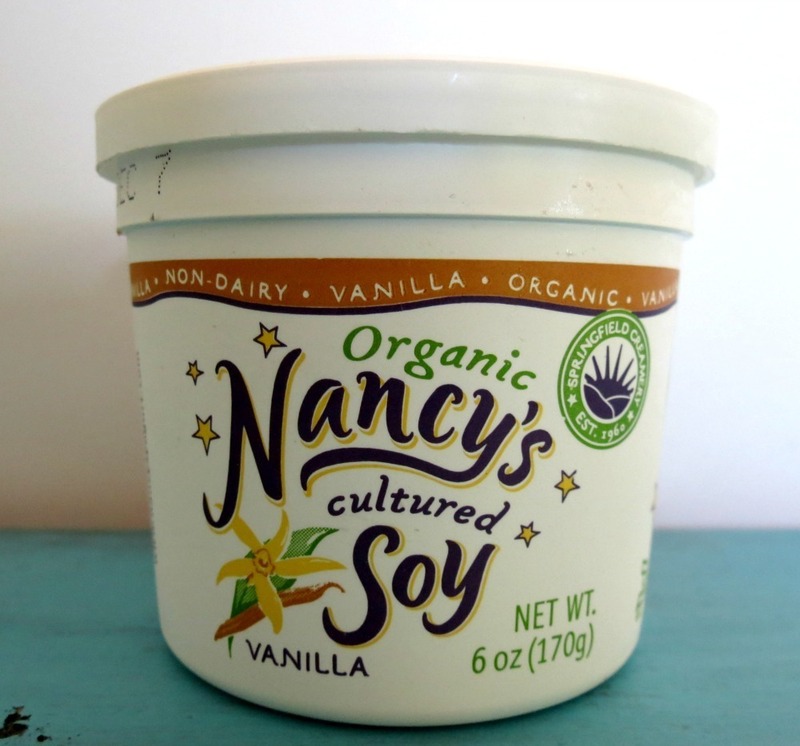 Super spendy but the best non-dairy yogurt out there. 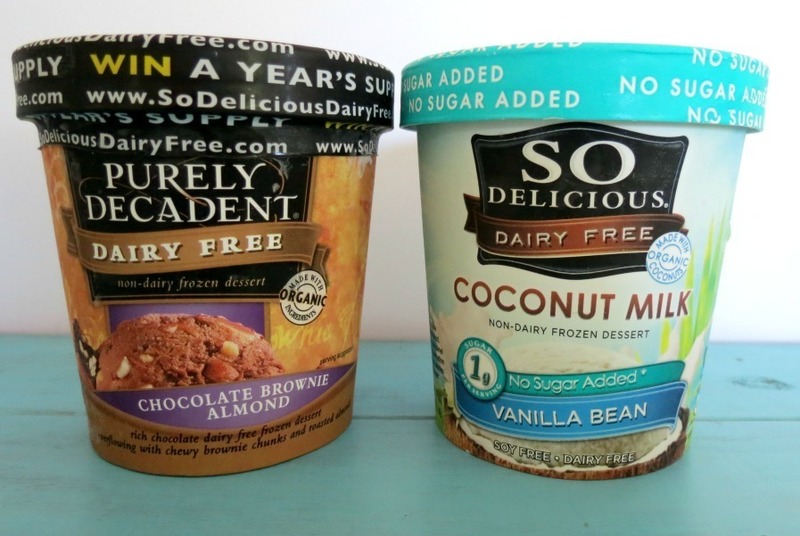 I just tried the So Delicious Coconut Milk Vanilla Ice Cream, and vegan or not, it’s amazing for anyone to try! I’ll look for the truenutrition protein powder, thank you for telling me. Now I am disappointed in the cheese. I figured it wouldn’t be as good as real cheese. sigh…. Thank you for all of your help and information, I appreciate it. Oh sigh, I sure hope I don’t get a dreaded allergy to something, not that these products are bad, I actually try them out a lot but I adore my beloved milk. In saying that your shake does look delish!! !